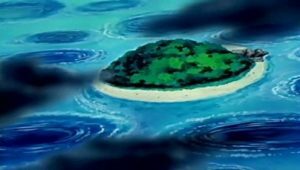 The kids land on Muscle Island, where another ferry will finally take them to Mossdeep City. 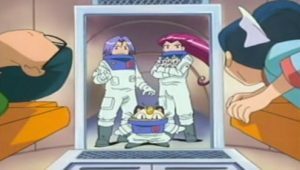 Team Rocket also lands on the island, fleeing their sub because they think it will explode. 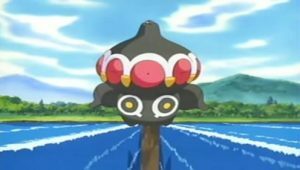 It sinks instead. 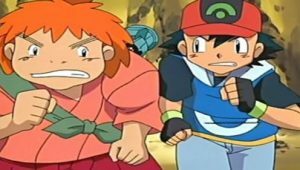 Ash and friends run into a group of people working out. 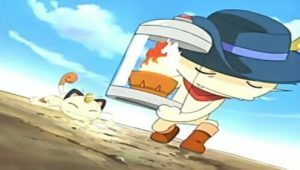 The head of the camp, a guy named Rocky, offers food and the opportunity to train with them. 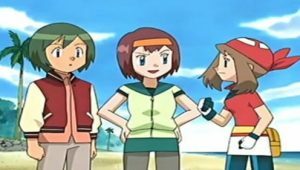 Everyone except for May (who gets dragged in) decides to take up the workout offer. 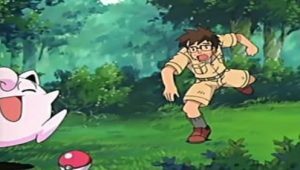 Team Rocket also starts exercising when James decides that it will help them catch Pikachu better. 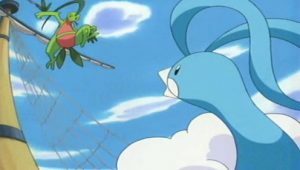 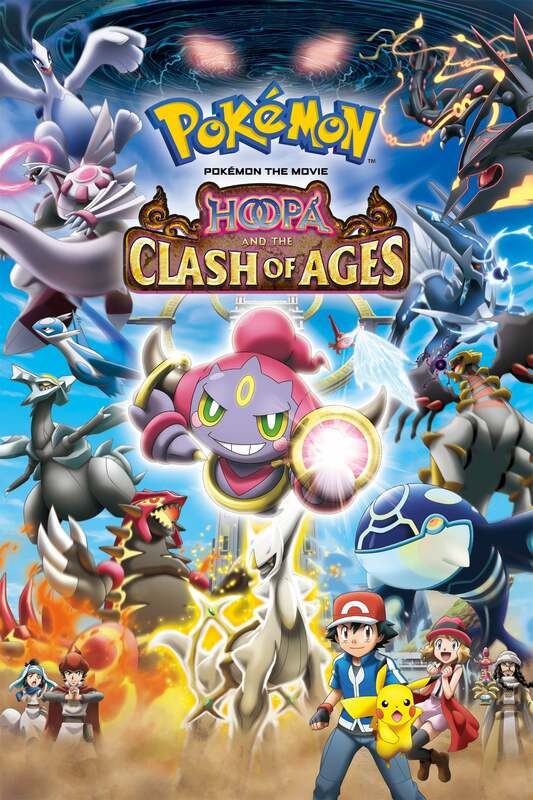 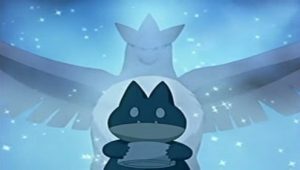 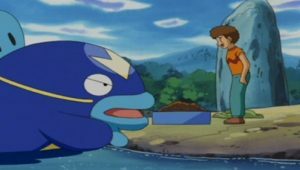 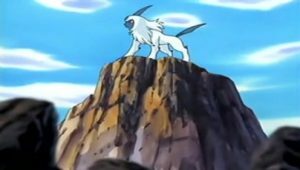 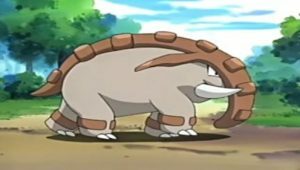 Elsewhere, Rocky challenges Ash to a battle, bringing out Walrein and Quagsire. 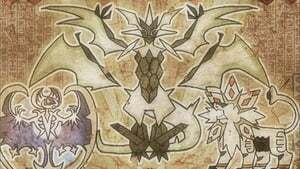 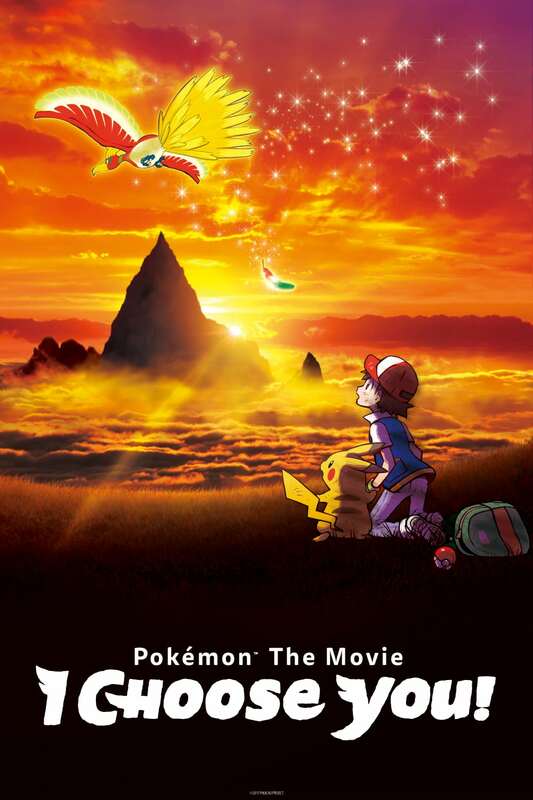 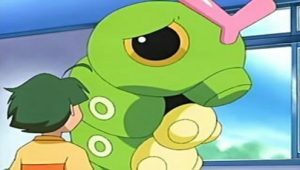 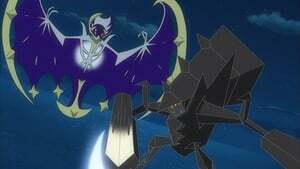 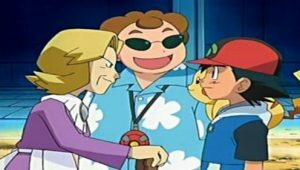 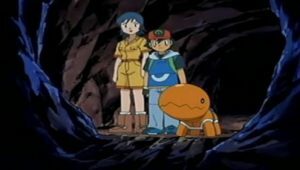 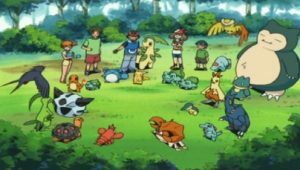 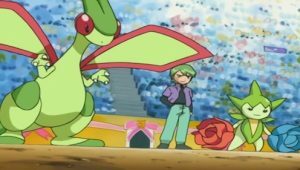 Ash chooses Pikachu and Grovyle. 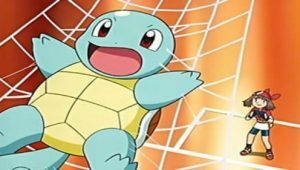 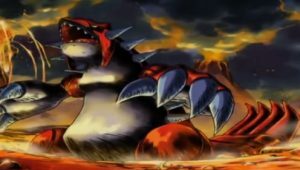 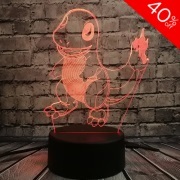 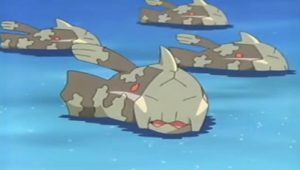 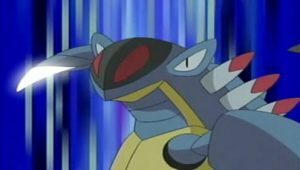 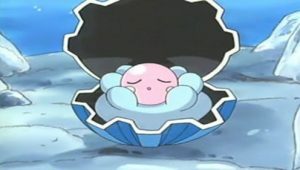 Pikachu can’t hit Walrein because Quagsire blocks every attack, immune to electricity because of its dual Ground-and-Water-type. 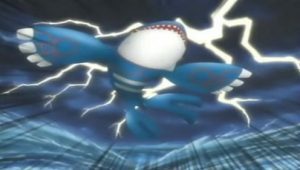 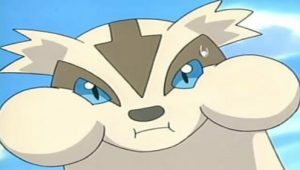 Walrein retaliates with Ice Ball, which hits Ash’s Pokémon hard. 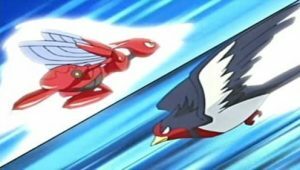 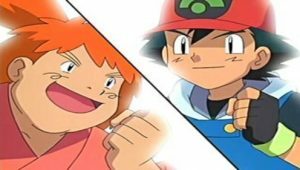 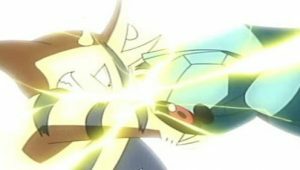 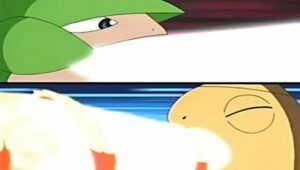 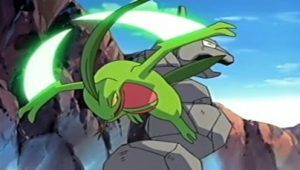 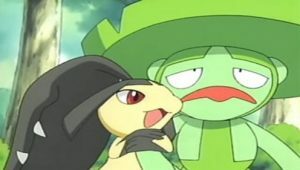 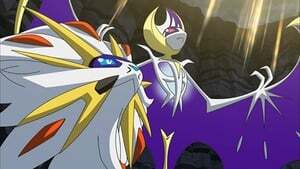 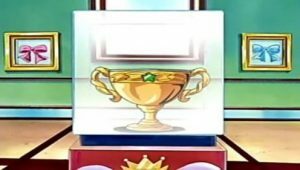 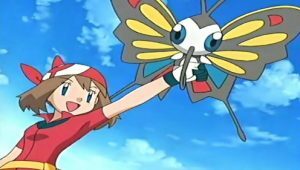 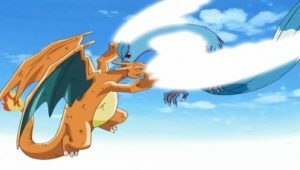 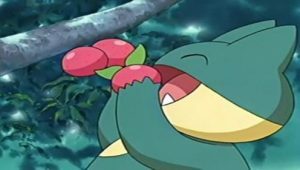 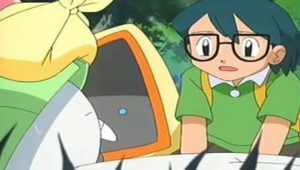 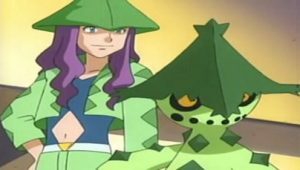 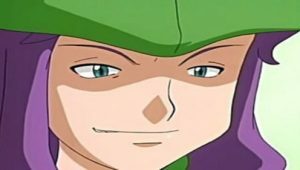 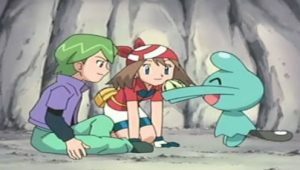 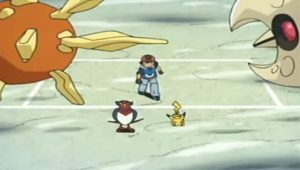 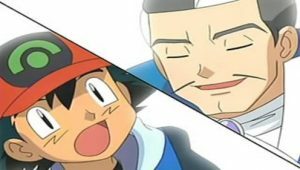 Ash then realizes that Ice Ball gets slower the more it’s used, taking advantage of that delay to let Grovyle use Leaf Blade and Pikachu use its Thunder attack to win. 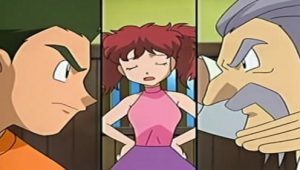 The kids and Team Rocket manage to scam out of exercising more, and everyone departs on the ferry to Mossdeep City. 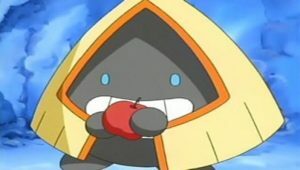 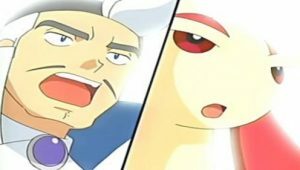 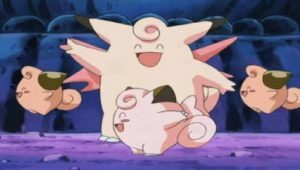 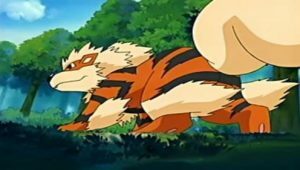 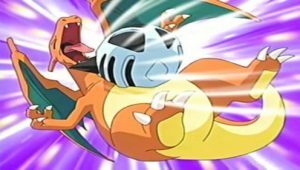 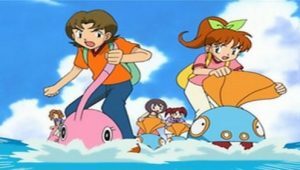 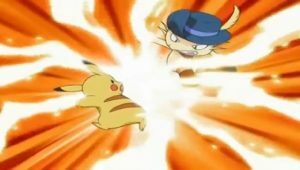 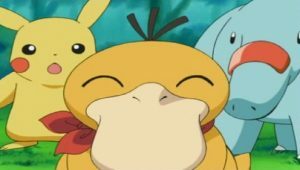 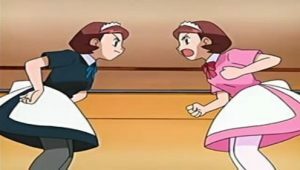 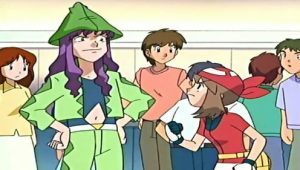 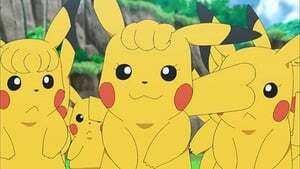 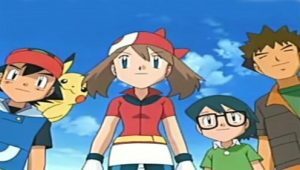 On board, Team Rocket tries to grab Pikachu again, but in the tug-of-war that ensues, Pikachu shocks everyone and sends both its friends and Team Rocket flying overboard.